Concerts Penzance start their 2016/17 season on Saturday October 15th, 7.30pm, pleased to be back in their 'home' at St. John's Hall. 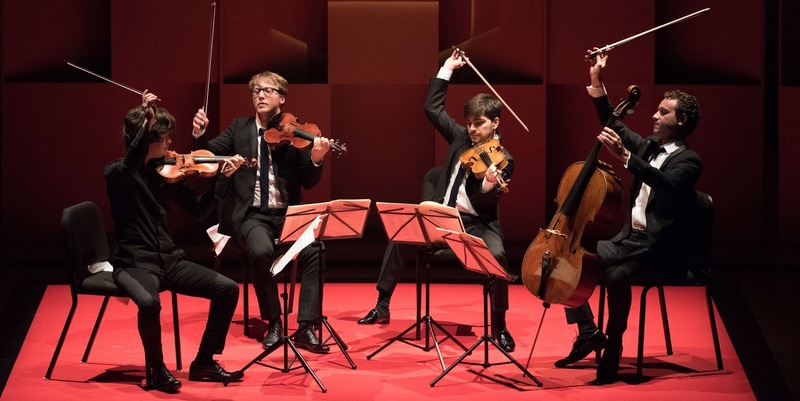 The series brings top international quality chamber music to Penzance and opens with a visit by the latest winners of the Wigmore Hall International String Quartet Competition, the wonderful French Van Kuijk Quartet. The quartet have been delighting audiences across Britain and Ireland during their prizewinners tour, including an amazing Coffee Concert at the Wigmore Hall last weekend. This is your chance to hear them perform in Penzance. Tickets on the door cost just £12 or a staggering £3 for young people - where else can you get such value for top quality performers? They'll be performing Haydn's 'Sunrise', Ravel and Beethoven op.127 quartets. Tell your friends, send them a link or email, and 'like' away at www.facebook.com/concertspenzance! Concerts Penzance present great music played by top performers in a relaxed atmosphere where music tells it's own story in an accessible and enjoyable way - if you've never heard a live quartet before or you're a seasoned quartet officionado, Concerts Penzance is here for YOU!